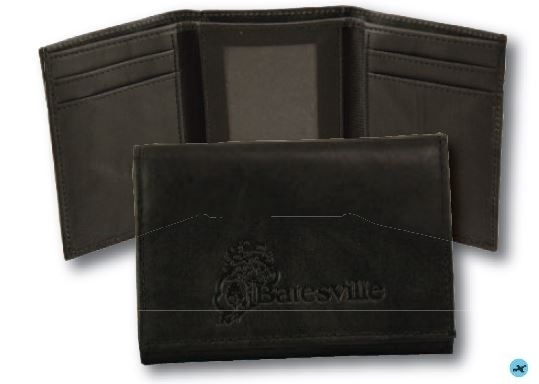 Leather exterior with matching leatherette interior, 4 credit card pockets & clear I.D. pocket. 2 3/4" x 4 1/4" closed. Stock Colors: Black or Glove Tan. Extras: Setup charge $55 (G).